Get some fresh D batteries ready for your old boombox…we’ve got ‘Oolooloo’ on cassette tape! Whether you’re a collector of all things Pie or simply want to relive the glory days, pick up this high-quality re-release of our classic 1995 release ‘Oolooloo’ today! ***CLICK HERE*** to purchase directly from our web store. Additionally, we’ve added some Women’s Cut versions of our ‘Never Souled Out’ design to the web store, and refreshed some of our stock. 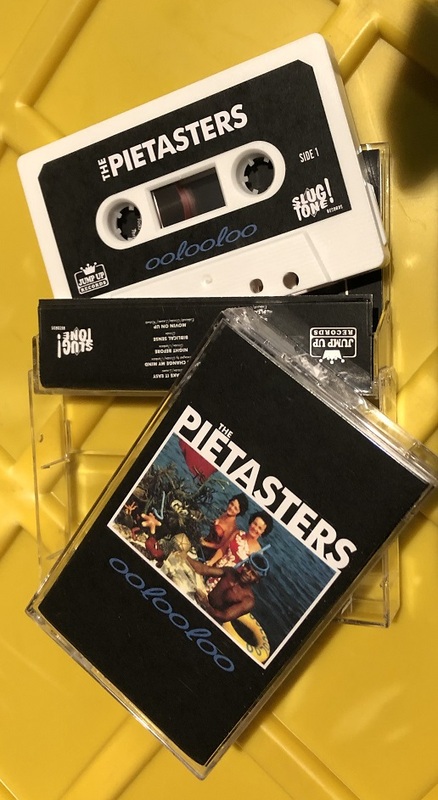 Keep an eye out in the coming weeks for some additional merch coming to our web store, and thanks for supporting The Pietasters!